Voltron: Defender of the Universe was a cultural touchstone in th ’80s. Now, Netflix and DreamWorks Animation are rebooting Voltron with a new look and a new cast. 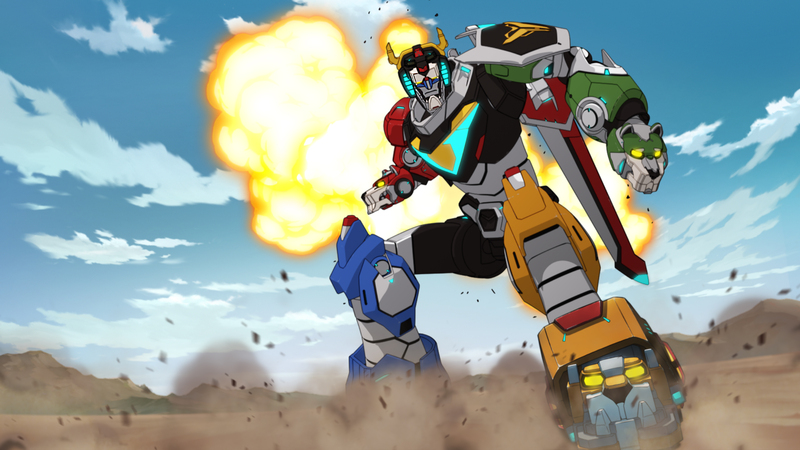 The result is that Voltron Legendary Defender has the makings of an epic cartoon adventure series. Voltron Legendary Defender is the rebirth of a legend. Five unsuspecting teenagers (well, one seems older than a teenager) are transported from Earth into the middle of a sprawling intergalactic war. They become pilots for five robotic lions in the battle to protect the universe from evil. Only through the true power of teamwork can they unite to form the mighty warrior known as Voltron Legendary Defender. 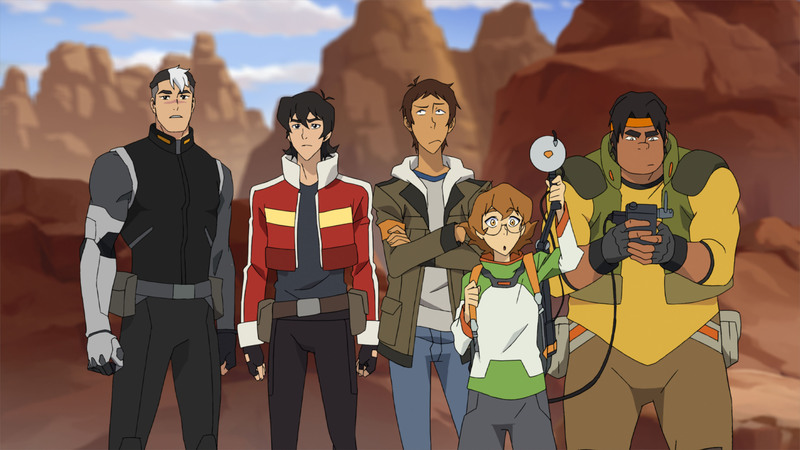 While this bold new series will be instantly recognizable to Voltron’s legions of dedicated fans, Joaquim Dos Santos and co-executive producer Lauren Montgomery (The Legend of Korra, Avatar: The Last Airbender) have re-engineered core elements of the original show. 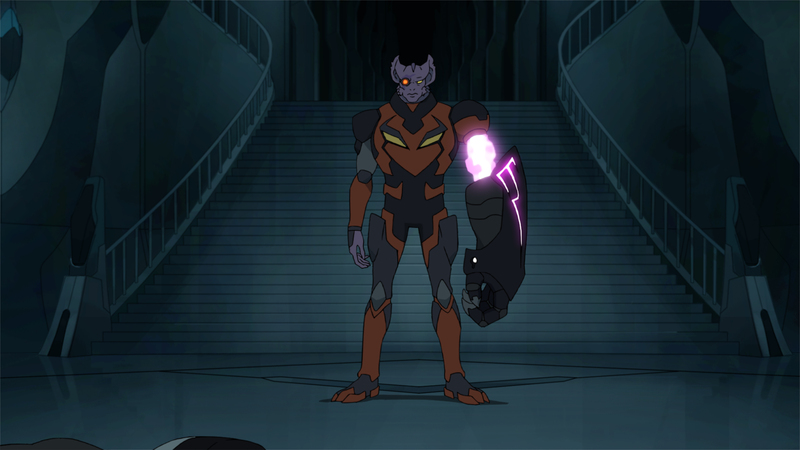 With a combination of old and new animation techniques, creative transformations of the characters and designs and inventive plot expansions, this fresh Voltron is a great update on a classic cartoon. Watching Voltron Legendary Defender is terrific. The cartoon doesn’t waste any time on backstory or exposition. Voltron jumps right into the action, giving us a sense of the characters along the way. The story kicks off with a space mission gone wrong, and the return of an officer who was presumed dead. We meet the teens and the officer who will eventually form Voltron. Although we’re helmet-deep in action right away, the creators still know how to build to a payoff. Knowing how badly we want to see Voltron formed, they hold off on his completion until the very end of the first episode. Along the way, the storytelling is clever. We’re caught up in the current storyline, involving King Zarkon and his alien force. Through that story, however, we learn Princess Allura’s story, and and Voltron’s role in her planet’s history. The first episode of Voltron Legendary Defender builds to an exciting climax that teases a fantastic, epic series ahead. The animation is gorgeous. Different animation techniques are used depending on what’s happening; a conversation on a desert landscape has the retro look of an ’80s cartoon, while watching Blue Lion battle aliens has a more fluid and colorful style. The cast is full of talented actors, most of whom are recognizable from other great series. Rhys Darby, as Coran, and Jeremy Shada, as Lance, are particular standouts for their comedy. As usualy, Josh Keaton, as the officer, Shiro, is adept at playing a brave, yet vulnerable, hero.